Otters offers excellent facilities. We are situated in the village of Cliddesden. Our environments both inside & out are kept stimulating, challenging & interesting and the Otters Child Centered Curriculum is designed to promote and inspire learning through enjoyable activities that young children love. Otters Nursery is situated in beautiful open countryside and our exciting nature gardens play a large part in Nursery life. We offer freedom within safe boundaries. for our children to play, explore and experience nature. With a dedicated caring staff team led by a highly qualified & experienced manager. 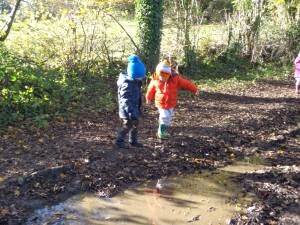 Quality time at Otters Nursery is happy, fulfilling and fundamental to a child`s future ‘successes’. Offering excellent care and a wealth of opportunities our aim is to provide the basis for every child to make the most of their abilities and talents as they grow whilst enjoying the delights of simply being a child. Jayne has developed with Otters. Having been our Pre School room leader and our Assistant Manager she demonstrated all of the qualities you would look for in a Manager. The respect of parents and staff and a caring, teaching relationship with all of the children. She now brings her commitment, professionalism and enthusiasm to managing the nursery. Jayne really understands the value of relationships that we develop with our parents and the significant benefits our setting can offer to develop all aspects of your child. Jayne will ensure an environment that allows Active, Inquisitive, Curious and Playful learning. Our nursery educators and practitioners are keen to share knowledge and ideas with parents. We believe that it is important to celebrate with parents their key children’s achievements, no matter how small. At Otters Nursery we provide a family orientated ethos making the setting feel like a home with a warm and welcoming environment. We support the children to settle into Otters Nursery recognising the importance of secure attachments: each child is designated a key person who builds a strong relationship with the family and the child. 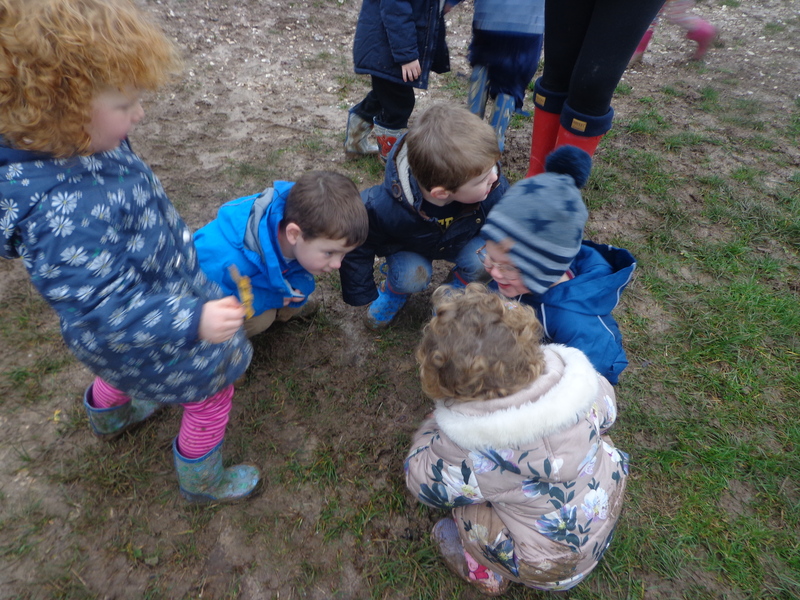 A happy, independent and confident child makes friends easily and is motivated to explore and experiment developing their understanding of the world around them. 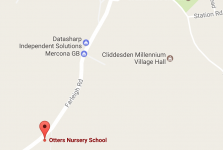 Otters Nursery School offers activities and opportunities for children to play and explore, to have a go and keep on trying, to concentrate, to enjoy their achievements, to create and to have and develop their own ideas. Children are unique individuals so we develop tailored learning plans with their families to meet their specific needs as we acknowledge that children develop and learn in different ways and at different rates and have their own interests. We have a well-trained staff team with expertise in special educational needs and disabilities. 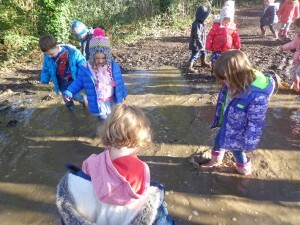 To inspire an enthusiasm and passion for learning we offer a wide range of imaginative and motivational activities, both indoors and outside, including art and craft, messy play, role play, storytelling and music. We have the luxury of well-developed gardens which allow the children to enjoy fresh air daily with space to explore and investigate the natural world around them. For example, we have a wild garden which encourages birds and insects, digging areas and planting areas for flowers, fruit and vegetables. 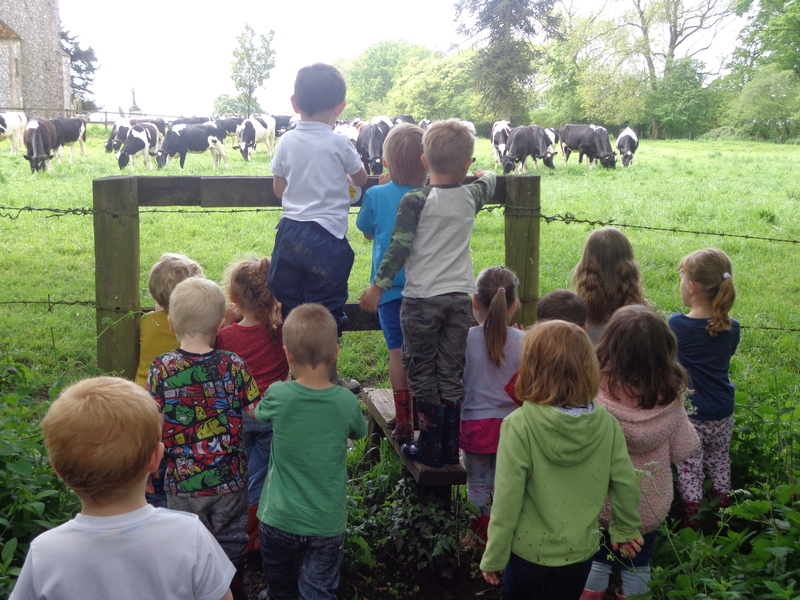 We are surrounded by fields and are able to walk through the countryside, taking in the changes in the environment and weather depending on the season. 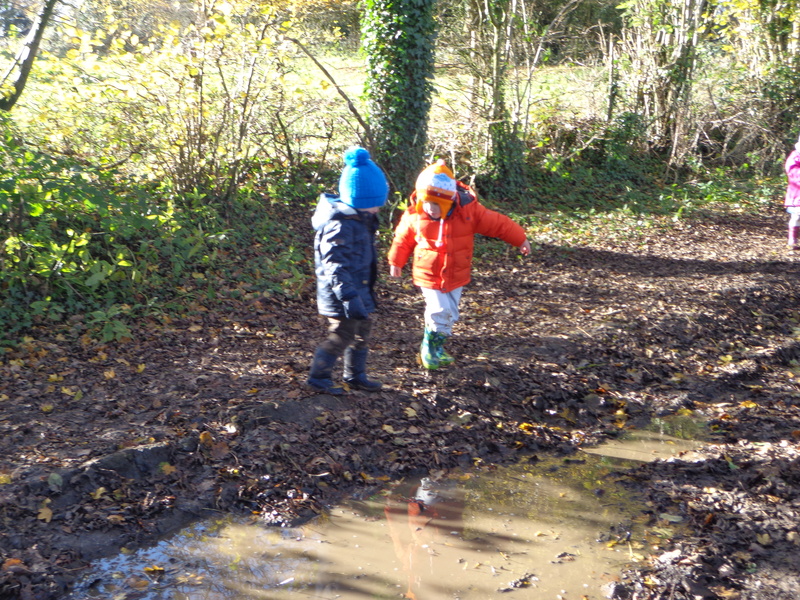 The children can climb, use ride on toys, build dens and play in the playhouse in our secure grounds. Otherwise they can express themselves artistically through painting or drawing, sticking and gluing, music or dance. We have activities and equipment that encourage exploration and experimentation: water, sand, cooking, weighing, measuring to name but a few. We have a designated baby garden where the youngest children can investigate and play undisturbed with age-appropriate toys. The curriculum is designed to support and challenge the children following the children’s interests.